What Supplements Does A Vegan Need? 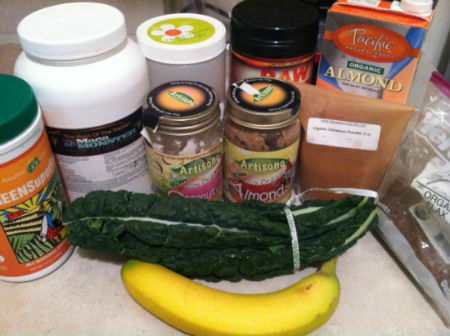 A vegan diet probably requires a few supplements….but not a lot. Supplements are a controversial topic, and even moreso among people who follow specialty diets. You don’t have to look hard to get divergent opinions, even among well educated practicioners. Among vegans, raw foodists, and those who follow a plant based diet it’s certainly no different. On one extreme you have people like Kristen Suzanne and Ray Kurzweil who regularly take between 30-100 supplements a day. On the other hand you have people like Dr. McDougall and Lindsay Nixon who recommend not taking any at all. Dr. McDougall almost goes to so far as to say that the supplement industry as a whole is immoral. Important: And as a practical note, I’d add that I think this overview will apply to just about anyone. Short of unique medical conditions, I think the need for supplementation is pretty homogenuous. You should also contact your doctor or licensed medical professional for any specific advice about your unique condition. So What Supplements Do You Need? For vegans and people in general I think there are two that are worth taking. It can be quite difficult to get the complete bouquet of plant nutrients contained in green foods, even if you’re trying. This is especially true if you have a medical condition, are training, or are just busy and find it hard to fit in the right foods in your diet. Greens powders are better than regular vitamins because condensed foods maintain more of the nutritional value of raw whole foods than a similar supplement in pill form. Synthetic nutrients should be avoided altogether as I have described in this post. You can also get a whole foods based multi-vitamin, but isolated nutrients are not the nutritional pariah they’re made out to be. They are however better than a typical multi-vitamin, as I have explained in the past. I’ve written extensively about greens powders before for anyone curious about buying one. A good place to start is the superfood powder buying guide, followed by a perusal through my different product reviews. Of course, if you want to try one out you can get Incredible Greens for whatever price you want. This applies only to vegans and raw foodists. If you eat meat you are fine…even in small quantities. I’ve written extensively about vitamin B12 before, and it’s the only nutrient not supplied in sufficient quantity by vegan and plant based diets. Truth be told any B12 supplement will probably do the trick, and you don’t have to worry about taking one unless you’ve been vegan for more than three years. That’s about how long your body stores B12 in the body. You don’t have to take one everyday as your body really doesn’t need all that much, but it is good to take one at least once in a while. Of course, any discussion of supplements wouldn’t be complete unless you cover the ones that are not necessary. Some supplements are do no good at all, and some in the big scheme of things just aren’t worth the money. Protein powder. Most people don’t need protein. See my thoughts on this here. Anything made from synthetic nutrients. Not a good idea. Single nutrient supplements, like green tea extract or gingko biloba. They’re not bad per se, but the combination of a good diet and a good greens powder will probably do the trick. Anything designed to create a pronounced difference in your body in a short period of time. Weight loss pills, steroids, weight gaining powders, etc. And of course, to any rule there are plenty of exceptions. For about 95% of people I think my advice would apply just fine. Anything your doctor or licensed medical professional recommends to you based on your own personal circumstances. Next Post Incredible Greens Is Sold Out!